It can be lonely as a stay at home mom and easy to slip into stay at home mom depression if you don’t intentionally surround yourself with other mom friends. So often our spouse doesn’t understand what we’re going through, our family and friends might not be in the same season of their life, and the expectations that we put on ourselves (or society or loved ones) can make the mom guilt unbearable intense. After my son (who is currently a year old) was born, I struggled with Postpartum Anxiety and Depression. I found myself isolating myself from even my other SAHM friends, withdrawing from my family, and feeling generally worthless. It was one of the hardest times of my life and I’m thankful that I currently have seen the ‘light on the other side of the rainbow’. But during that period, I struggled deeply and felt so alone. I am so thankful that I had a mom tribe that I connected with, both in person and online, because it helped me realize that, no matter how tough things were, I wasn’t alone. What type of SAHM are you? My first suggestion when it comes to connecting and meeting other moms is to think about the type of SAHM you identify with. When I first started to meet up with moms at the library or ones that I met in groups, I made the mistake of thinking that I would immediately connect with them all right away. And while I still am close friends with some of the first moms I met, there are many that I didn’t connect with. Your energy is so valuable and you don’t want to spend it with people who are going to bring you down or make you feel bad about the type of mom you are. And it’s OKAY if you don’t connect with everyone. There are a lot of different types of moms out there so you’ll want to find your tribe. If you’re a “Pinterest Mom” you might not want to spend your time with moms who make you feel bad about wanting to craft with your kids. Or if you’re more of an “Amazon Prime” mom, you might not want to spend time with moms who want to spend more time creating homemade decorations for every event. Give yourself permission to feel other moms out on playdates or in groups but know that you don’t have to vibe with them all. Don’t allow yourself to feel guilted into a friendship that makes you feel bad about yourself or drains all of your energy. You deserve to be around others that make you laugh and feel joy! There are two main ways I’ve been able to connect with other moms friends and that is in person and online. There is an incredible power in meeting up with like minded moms in person for coffee, a walk, or just to get some sanity and talk to another grown up. Some of my closest mom friends are ones that I have randomly met in Facebook groups and we’ve just clicked. We connected because our 2.5 year old were super close in age as babies and now, we all have 1 year olds too! The first place you should go to find moms near you is Facebook! Search and see if you can find a local moms group. You can be bold and simply post that you’re looking for like minded moms, and put a few words to describe this mom (coffee loving, like to craft but isn’t that good at it, enjoys working out, primarily seen in a mom bun… wait I’m describing me!) and suggest a time and place to meet up. One of the easiest suggestions is to suggest going for a walk at a local park or place where you can get to actually talk to them. I’ve met up with moms places where it was super busy or my kids were all over the place and I felt like I didn’t get to talk to them at all! You should also look and check and see what local mom groups already exist (we have a MOMS group in our town), check out your church or religious center or see if you can find a MOPS group (Moms of Preschoolers)! Often many of these places will offer child care for you and it can be a great time to refuel yourself and connect with others! Because life is so busy, I sometimes only see my ‘in person’ mom friends once a month. I knew that I wanted to feel more connected on a daily basis and needed someone other than my kids to talk to. Insert my virtual MOM TRIBE! Over the past few years I’ve been able connect with so many moms from around the world who are feeling similarly than me all online! 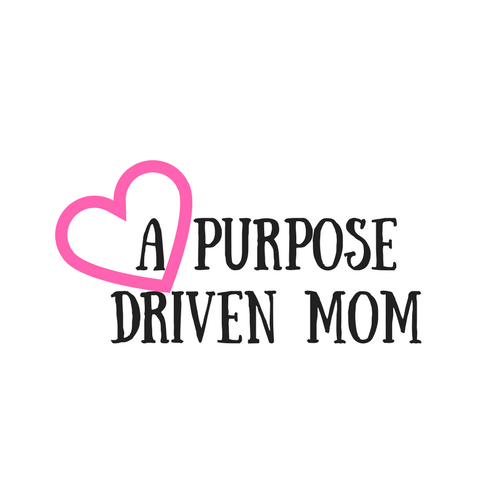 Heck, it’s one of the reasons that I created A Purpose Driven Mom! I knew that there were more moms out there like me, I just had to find them! Social media is going to be the best place for you to connect with other like minded moms. You can use hashtag or group searches to find other communities where your ‘mom’ is hanging out. Become active in those groups, answer questions from other moms and ask questions! I can’t tell you how life saving it was at 3am when I was cluster feeding my daughter to have other moms awake in baby sleep groups to talk to! Once you find mom groups you love, ask for suggestions for podcasts or other groups that they love. I have found so many other members of my mom tribe by connecting with other podcasts and blogs that moms have suggested to me! All of these are perfect podcasts for Christian Moms who want to get some inspiration and find communities that they can connect with! Many of these bloggers also host virtual conferences which can help you feel even more connected! Virtual conferences are my FAV (Heck I even ran my own this past year! You can go back and get all the recordings here) because you don’t have to leave your house and you can connect with some many incredible women. One of my favorite ones is coming up in just a few weeks so, if you’re looking for a great place to start connecting with moms, I highly recommend the Homemaking Ministries Conference this upcoming September! And if you're reading this after September, go and grab the recordings! Being a stay at home mom is tough. We get lost, we feel lonely and stay at home mom depression is a real thing. So when you’re feeling lost, make sure you reach out to other moms, connect with people, and surround yourself with positive influences that bring you joy! In the meantime, check out this list of positive mom quotes and affirmations (you can grab a copy of my fav ones here) to build you up when it’s tough. Because mama…. It’s going to be TOUGH! But you’re doing a GREAT JOB! Make sure you SHARE this post with of SAHM who probably feel just like you! PIN it to read for later!